고려 말기에 왜적의 공격을 막기 위해 진을 설치했는데 임진왜란(1592) 때 전라방어사 곽영이 호남지역의 왜적을 막기 위해 옛 진 위에 석주관성을 쌓았다. 성의 북쪽과 남쪽이 지리산과 백운산의 험한 산줄기이고 그 사이에 섬진강이 흐르고 있어 군사 방어 지형으로도 중요한 길목이다. 경사진 산허리를 따라 만든 성곽의 길이는 약 736m이고 돌로 쌓아 만든 벽의 높이는 50∼120cm이다. 성벽에 일정한 간격으로 활이나 총을 쏠 수 있게 갈라놓아 적의 공격으로부터 잘 방어할 수 있도록 한 점이 특징이며 성벽 아래쪽과 위쪽의 쌓은 수법에도 차이가 있다. 호남지역에 현존하는 유일한 관문으로서 매우 중요하며, 13세기(고려후기)와 16세기(임진왜란)에 성을 쌓은 기법 연구에도 매우 중요한 자료로 평가받고 있는 유적이다. 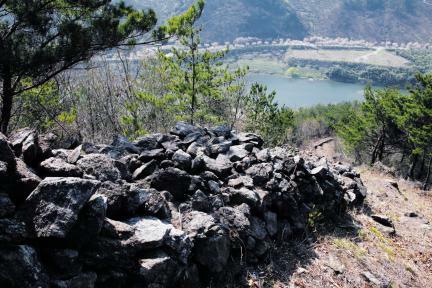 The government installed a fort in Gurye in Jeolla-do to ward off the Japanese pirates in the late Goryeo Dynasty. 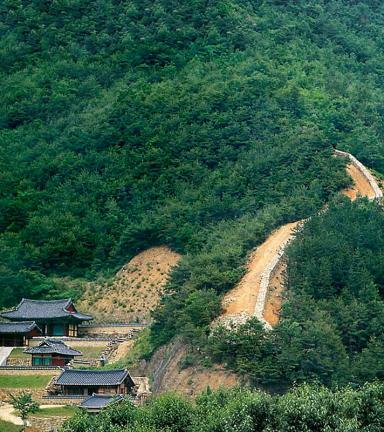 Later, Gwak Yeong, chief commanding general of Jeolla-do, built Seokjugwanseong, a gate fortress, on the old fort in Gurye to defend the Jeolla-do region against the Japanese invaders during the Japanese Invasion of Korea in 1592. 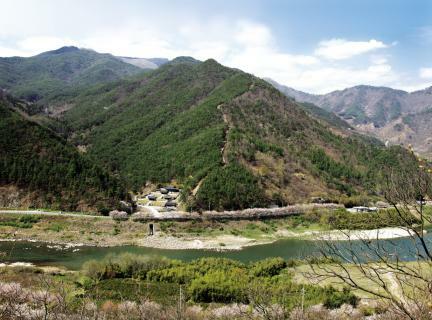 The northern and southern sides of the fortress meet the rough mountain ranges of Jirisan and Baegunsan mountains. 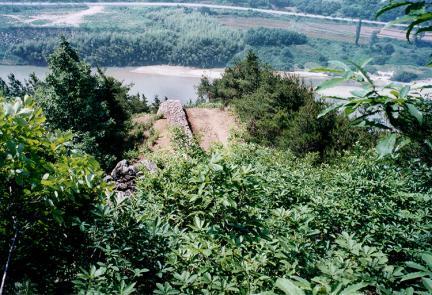 Seomjingang River flows between those rocky ranges. 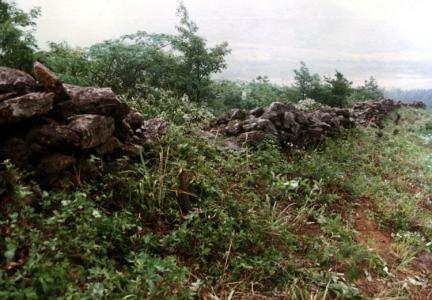 Such topographic advantages made the fortress a very important military fortress located at the critical pass. 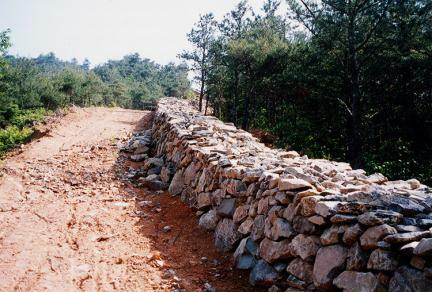 The 736m long wall of the fortress was built with stones along the slanted mountainside, and it is 50 - 120cm tall. There are many embrasures in the wall at regular intervals, and they were used as positioning areas for the gunners and archers. 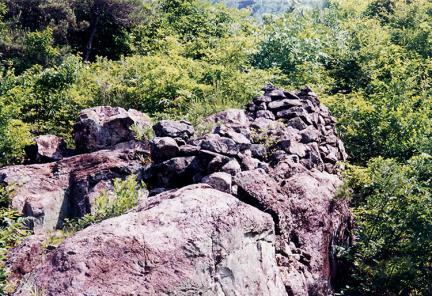 The top and bottom parts of the fortress wall were piled up differently. 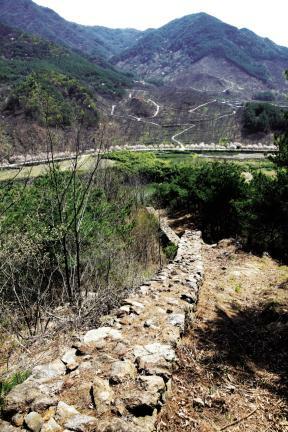 As the only existing military gate in the Jeolla-do region, this gate fortress is regarded as very important remains that clearly show the typical fortification from the 13th century to the 16th century.